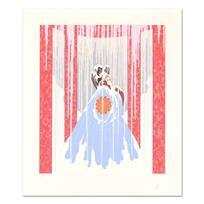 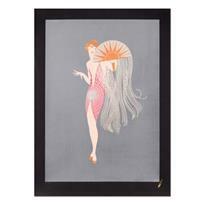 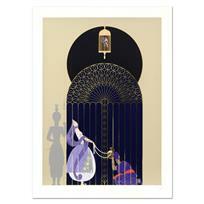 Erte (1892-1990), "Loves Captive" Limited Edition Serigraph, Numbered and Hand Signed with Certificate of Authenticity. 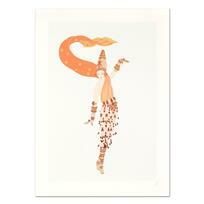 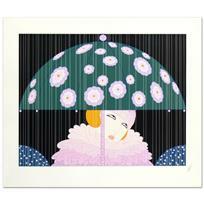 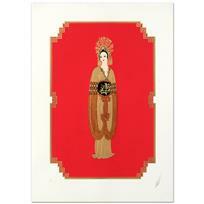 Erte (1892-1990), "Mary Garden" Limited Edition Serigraph, Numbered and Hand Signed with Certificate of Authenticity. 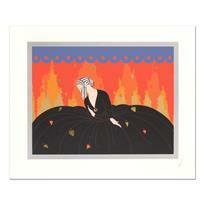 Erte (1892-1990), "New Years Eve" Limited Edition Serigraph, Numbered and Estate Signed with Certificate of Authenticity. 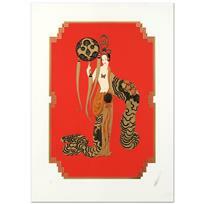 Erte (1892-1990), "Pearls and Emeralds" Limited Edition Serigraph, Numbered and Estate Signed with Certificate of Authenticity. 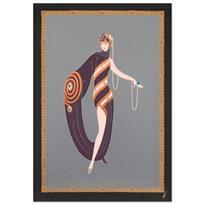 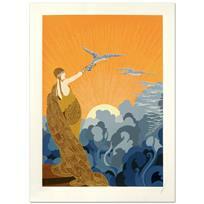 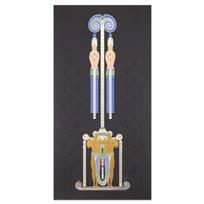 Erte (1892-1990), "Tanagra Blue" Limited Edition Serigraph, Numbered and Hand Signed with Certificate of Authenticity. 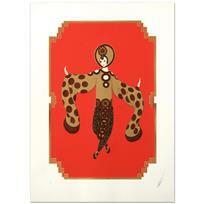 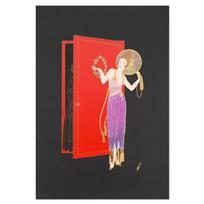 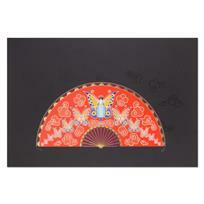 Erte (1892-1990), "Tanagra Red" Limited Edition Serigraph, Numbered and Hand Signed with Certificate of Authenticity. 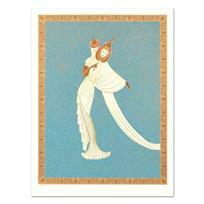 Erte (1892-1990), "Tanagra Turquoise" Limited Edition Serigraph, Numbered and Hand Signed with Certificate of Authenticity. 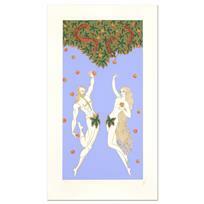 Erte (1892-1990), "Adam and Eve" Limited Edition Serigraph, Numbered and Hand Signed with Certificate of Authenticity.